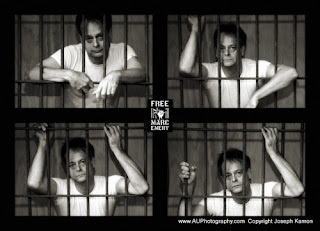 As I write this Marc Emery is approaching the mid-point of his five year sentence for selling cannabis seeds. Admittedly he did move a lot of seeds, but that’s what he’s doing time for. Seeds! Marc put his freedom on the line to help free the weed. How about you? Put anything at risk in an effort to help anything other than yourself? Or, do you, as so many of us do, exist quietly in the culture of accommodation where cannabis is available but not respectable, expensive and not a market-priced product, and while itself a friend and ally, is treated by the powers that be as a foe. have, on their websites, a place to sign up to send messages to appropriate elected officials as opportunity presents itself. You don’t have to write the letter. You don’t have to even know who your elected officials are. You will need to know where you live. Sorry. And, importantly, you have to be willing to take a moment out of your hectic day and help re-legalize the weed. Lend your name and your presence to efforts already underway. We have to get the drug war front-and-center into the upcoming election debate. Right now it’s barely a blip on the radar. For an example of how important your simple email might be, attend: There is a bill in the federal congress to create a commission to review the federal American criminal justice system, top to bottom, and make recommendations for change. That’s a doorway to re-legalization. Several states are ready to re-legalize. The impediment is the federal government. This Commission, if created, could be a big step towards change. Every elected official should vote “yes” on the creation of this Commission. They might do that if you tell them. Start sending letters and emails in support of ending the drug war. You can do so on the websites of any drug reform group. Do it on ALL the websites of ALL the drug reform groups. Who knows where we might end up? Maybe bringing Mr. Emery home a day or so sooner than expected.